Codebelay helps you develop web pages with a safety net. Update on possible YouTube channel. Right now the tech industry has changed so much, and continues to change faster and have demands for more specialization. E.G. there are less full stack jobs, and more jobs that require either a specialization on the front-end or the back-end. Furthermore, the back-end seems to be split into anything that supports machine learning (ML), or a site reliability engineer role (SRE). Right now, I'm just figuring out which should be my focus. It's been awhile. I will be diving into TrAmp again, my traffic amplifier WordPress plug-in. I think lol_dba is the best name for a gem ever. lol_dba identifies columns that need to be indexed on your ruby on rails app. Understand the wants of a user by becoming the user. Prioritizing and focusing on the most important of those wants. Using this knowledge to exceed user expectations. Codebelay is currently up in San Francisco. There's a bit of a tech boom going on here since 2005 and things have really heated up. Read more about it in one of our blog posts. I had one of the co-founders from Demeter Interactive over at my place to talk about Internet technologies. Traffic has been phenomenal! Thank you! Stick around for details, because I would like to thank my readers with a Tweetup / Drinkup. Got any tips for a breaking tech story? Email me or reply to me on twitter: @barce! I am currently selling Twitter Retweets in 5 packs. This means that I will Retweet 5 Tweets of yours. I only sell 20 of these 5 packs per day. Your tweets will be re-tweeted from the @barce account. Update: No longer selling Retweet packs as of 14 June 2011. Codebelay, LLC is now a proud member of the Venice Chamber of Commerce. Do you need to monitor a website or part of a web page for updates? Try Sitebeagle, a newLISP command-line tool for monitoring. 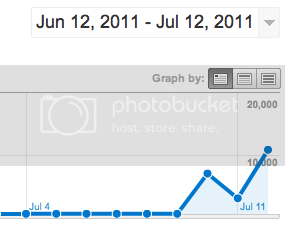 Update: As of 6/14/2011 Sitebeagle is now Ruby. Do you have an enterprise environment with Active Directory used for authentication? Would you like to use Rails? Try the Frostale gem. Partition Benchmarks project is finished. If you want to quickly test out mysql vs. drizzle this project is for you.